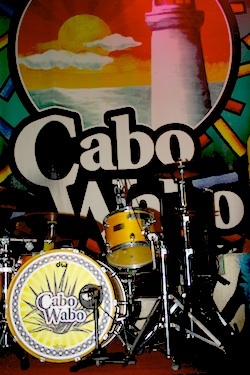 For rock lovers like me, I find that Cabo Wabo is the best place to enjoy live music in Cabo. With its psychedelic decorations and rock memorabilia, Cabo Wabo brings you back to the time when rock stars were larger than life. Sammy Hagar from rock band Van Halen opened this downtown Cabo nightlife spot in the early 90s and by the time 2000 rolled around Cabo Wabo even had its own line of tequila. During the day check out the Cabo Wabo Cantina as a great place lunch stop for cruise visitors or even dinner restaurant before your night out on the town. 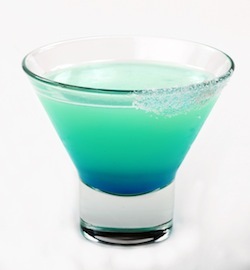 splash of blue Curacao (very important! ), and enjoy it! Have you had a good time at Cabo Wabo? Let us know!